This morning, I know the scientific term for the vermilion star, Mediaster aequalis, but I have trouble remembering my name. I reach into the icy water to touch the sea star’s bumpy exoskeleton, and I feel like a child full of fascination, not a thirty-four-year-old marine biologist recovering from a head injury. They say I taught freshman classes at Seattle University, but I have no memory of those days. I wonder about the moments I’ve lost, the people I loved. We surely must have laughed together, lifted our glasses to celebrate weddings, birthdays, anniversaries. I used to have a life. But now I have only this island, the husband who stays by my side, and a peculiar recurring dream. I came down to the water’s edge today, to see if I could conjure a memory, but instead I found this rare, healthy sea star, untouched by the mysterious wasting disease ravaging sea stars along the west coast. Here is this bright orange miracle, all five arms intact. I suppose I’m a miracle, too, still alive and intact after fracturing my skull in a diving accident three months ago. These islands haunt me, but I have no conscious memory of this area. No memory of my decision to move here to study the rare Tompkins anemone. No memory of buying these pajamas, my sweater, my running shoes. And I don’t recognize the jagged scar on my right thumb. A thin white line. My husband, Jacob, said I cut myself on a barnacle-encrusted rock while diving. I once knew how to assemble a scuba unit, but I don’t trust myself to even put on a mask anymore. I don’t recall learning how to dive. Last thing I remember, I was thirty years old. And after that . . . the boat trip to this island two weeks ago. Jacob thinks the beautiful forest emerging from the fog and the rocky coastline of this special place will help restore me. All I can think is, what am I doing here? I long to reclaim the four years I’ve lost. After my recovery in the hospital, we came here to Mystic Island in the Pacific Northwest, where the wind blows in cold from the sea. On this remote outpost, emergency responders can be slow—if they even get the call. The locals pride themselves on staying “off the grid.” Our landline goes out so often, we might as well not have one. Jacob follows me everywhere. He worries I’ll forget where I am. He won’t like that I’ve wandered down to the beach alone. I could become disoriented, lose my way. My husband watches over me like a guardian angel. And I barely remember him at all. “Kyra! What are you doing?” His voice drifts toward me on the wind. He’s racing along the beach in graceful strides. “I found a healthy sea star!” My name is Kyra Winthrop. I dropped my maiden name, Munin. I’ve been married to Jacob Winthrop for nearly three years. I have to keep reminding myself. When Jacob reaches me, breathless, he pulls me to my feet. “You scared the hell out of me.” His T-shirt is on inside out, and he’s in jeans and hiking boots. He’s striking in a Nordic way, with blue eyes, strong features, and a blond buzz cut. If I could talk to my old self, I would congratulate her for making such a wise decision to marry this thoughtful man, who clearly loves me. “You walked a long way. I got worried.” He looks around in a panic, as if some malevolent force might try to steal me. But there is no other human on this beach, only the seagulls riding the updrafts. “You shouldn’t worry. You need your rest. Taking care of me is wearing you out.” I touch his cheek, rough with the beginning of a beard. His fatigue shows in the shadows beneath his eyes. I wish he didn’t insist on cooking for me, tidying up after me, doing the laundry. He patiently answers my questions, but I hate having to ask them. “Yeah, the dream again,” I confess. It’s always the same. I’m diving in murky, churning waters, struggling against the current. I wake in a cold sweat. “My sweater is good enough.” But he’s right. My teeth chatter as we head back along the beach, picking our way across kelp and shells. I imagine how we must have carried our scuba gear across a similar beach at Deception Pass, the day of the accident. We thought the amazing marine life in the pass would outweigh the risk of diving in such rough waters. He has shown me pictures of the area where we dove, several miles south of Mystic Island. But I don’t remember the Deception Pass Bridge, its span of nearly 1,500 feet rising 180 feet above the narrow strait that separates Whidbey Island from Fidalgo Island. Apparently, we consulted the tide tables, which we thought were in Pacific Standard Time. But they were in Pacific Daylight Time. We were diving earlier than we thought, through strong currents instead of in calm waters at slack current. “What?” He looks at me with confusion in his eyes. “We swam. I told you already.” He can’t hide the touch of irritation in his voice. “Fair enough.” I know he’s the one who needs time. He remembers everything, and now he suffers from post-traumatic stress, while my brain simply blacked out. I follow him up the steps toward our sprawling cedar bungalow with its plethora of windows and a small garden cottage. Vines of ivy climb the western wall of the main dwelling. Rosebushes cling to the south-facing side. Jacob’s mother planted the first roses nearly forty years ago, when his father built the house as a refuge from city life. It’s the kind of house that might harbor a fugitive or someone in witness protection—or a weary soul seeking a retreat, a sanctuary surrounded by forest and the sea. Despite its sprawl, the one-story structure feels unobtrusive, as if it has grown naturally from the landscape. Many times in recent days, I’ve stood in the garden or on the beach, staring at the house from different perspectives, trying to remember the last time we were here. I imagine Jacob chasing me up the stone steps, both of us laughing. I know we loved this place—he has shown me the photographs. How lucky I am that his parents left him the place. He hired contractors to remodel the rooms, add the solar panels, and build the garden cottage, where he types away on the Great American Novel. He left his lucrative software business in Seattle to take care of me. He stocked the pantry and rigged a spotty satellite Internet connection in my study, but the island has no cell phone service. It feels like we’re light-years away from civilization, instead of a hundred miles from Seattle, across the Strait of Juan de Fuca. If I stand on the deck, I hear the rush of wind, the rhythm of the surf, the muted chirping of birds in the underbrush. There are no cars on this dead-end road, no television, no neighbors. Since we’ve been here, I have not even heard the drone of a distant airplane. At night, far from the city lights, the stars crowd into a spectacular display in the inky dome of sky. The sheer wildness of this island leaves me breathless, a deep and unspoken longing rising inside me—for what, I’m not sure. When Jacob and I reach the house, a blue pickup truck comes into view in the driveway. A woman I knew here before, Nancy Phelps, traipses toward me through the long grass. Last week, she brought over autumn squash and pumpkins from her garden. She’s in jeans, pullover, and boots, her golden hair flying. This time, a man has come with her, probably her husband. I seem to remember—she told me he runs a salvage diving company. He must’ve returned from his latest expedition. He’s crouching to examine the broken solar panel in the driveway. “Morning!” Nancy says, striding up to us and pulling me into an apple-scented hug. Her features etch delicate impressions into her face. Small nose, wide-set hazel eyes, and a scattering of freckles. “You look gorgeous,” she says. “Come in for coffee?” I say. “He’s our fix-it man,” Jacob says. Her husband strides over in a slightly bowlegged gait. He’s handsome in a rough way, all stubble and thick, dark hair. He’s in work boots and jeans and a flannel shirt. “Kyra,” he says in a deep voice, shaking my hand. As his fingers touch mine, I’m struck by a lightning bolt of recognition. He’s gazing into my eyes, offering me a glass of wine. “You must be Van,” I say, letting go of his hand. “Damn.” He lets out a low whistle. “Yes,” I say. “I loved the island.” I feel silly and cold standing here in my pajamas. I bite back my response. Highly unlikely? For a split second, the two men gaze at each other. The voices seem far away, traveling a great distance through the sludgy atmosphere. “No need to go into details,” Nancy says, but not in a cruel way. It’s a familiarity born of time and shared experiences. “We barter around here,” Van says, looking at me. I look away, out across the sea. The wind is kicking up whitecaps. “Van’s allergic to shellfish,” Nancy says. “I told you I would help,” she says. “We did talk some.” She squeezes my arm gently. “Give it time. And in the meantime, let Jacob take care of you. You’re lucky to have a husband like him.” She looks at him and tucks her hands into her jacket pockets. “Oh, right,” I say faintly. I don’t recall this piece of our previous conversations. “You do remember a few things,” she says, her brows rising. When these facts come back to me so quickly, I surprise even myself, though I know I knew all of this years before the time I lost. “I mean, since we grew up together, I know Jacob’s taste in women. He must love your brilliant mind,” she says, smiling. “I’m not sure I have much of a mind left,” I say. “I like to think I do,” she says, hooking her arm in mine. “Let’s walk a bit?” She’s already steering me down the driveway. “Where are you going?” Jacob asks. “I told you if you want to consult with a professional here, I know of one.” She reaches into her coat pocket and hands me a business card embossed in blue text. Sylvia LaCrosse, Licensed Clinical Social Worker, with a telephone number and an address on Waterfront Road. The card looks familiar. “Did you give me a card last week?” I say. She must have, and I’ve lost it. What did I do with it? My fingers tremble. I nearly drop the card in the dirt. “Thank you,” I say, tucking the card into my pocket. Somehow, the possibility of talking to Sylvia LaCrosse calms me, like a soothing balm. “I’m okay,” I say, although my legs are wobbly. “We would love to,” I say. Van is already in the truck, revving the engine. “He’s too impatient,” Nancy says. She gives me a quick hug. “We’ll pick a date for dinner. Don’t forget about the school. So good to see you.” But she’s smiling at Jacob, not at me. “And you,” I say as she heads back to the truck. Nancy climbs into the truck next to her husband. He says something to her, not looking at her, waving his arm in a dismissive motion. She shrugs and looks away, tapping her fingers on the passenger-side window. The wind scatters leaves across the garden as he shifts the truck into reverse, hits the gas, and peels out of the driveway. 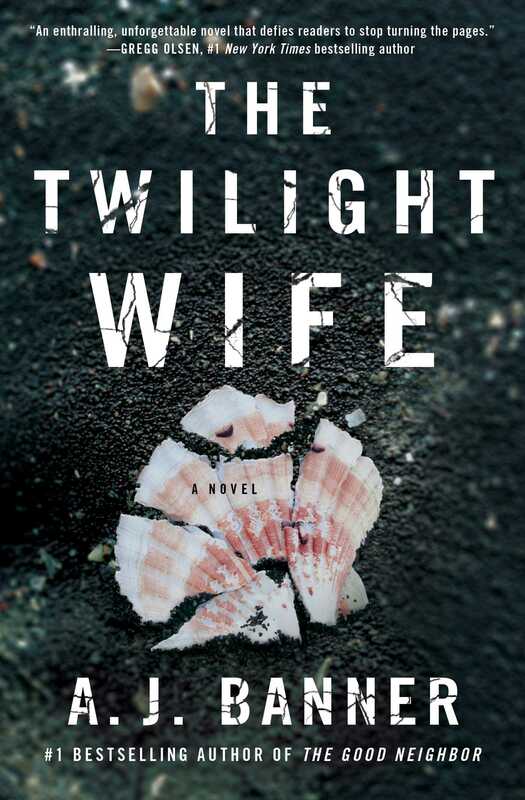 This reading group guide for The Twilight Wife includes an introduction, discussion questions, and ideas for enhancing your book club, and a Q&A with author A. J. Banner. The suggested questions are intended to help your reading group find new and interesting angles and topics for your discussion. We hope that these ideas will enrich your conversation and increase your enjoyment of the book. Kyra Winthrop is recovering from a harrowing diving accident, but her memory still isn’t perfect. Luckily, her doting husband, Jacob, patiently recounts her past to her, filling in the gaps left by an unusual form of memory loss. So when Kyra begins to remember details that don’t align with what she knows to be true, she must fight through her murky memory, her isolation, and her own intuition to discover what—and whom—she can trust. 1. Why do you think A. J. Banner chose to make Kyra a marine biologist? How does Kyra’s intellectualism help ground her to reality? If you were to lose your memory, what are the parts of you that would stay, the way Kyra’s memories of marine life stayed? In other words: What about you do you think is indelible? 2. Kyra pieces together, almost completely under her own direction, what happened on the fateful dive on which she lost her memory. At what point did you start to suspect that what happened wasn’t quite what she had previously believed? 3. Sylvia says, “Smells can evoke memories in powerful ways. The smell goes to the olfactory bulb, which is directly connected to the parts of the brain involved in emotions and memory” (p. 57). What smells bring you most vividly to the past? Are there smells you can’t stand because of the memories associated with them? Or are there smells you seek out to remind you of somewhere, sometime, or someone? 4. In trying to make sense of her world, Kyra learns about anterograde amnesia (difficulty storing new memories) and retrograde amnesia (difficulty retrieving old ones). Which, if you had to choose, would you prefer to have? Why? 5. 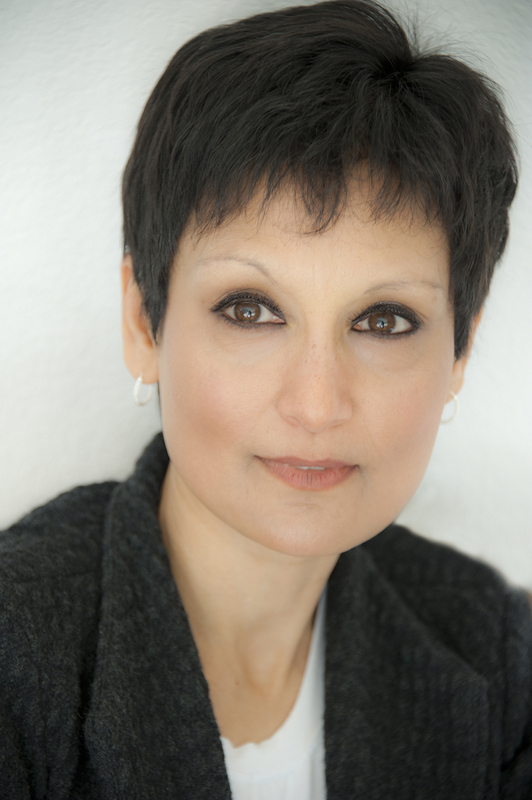 Kyra narrates, “Just because someone talks about murder, doesn’t mean they intend to actually kill someone” (p. 69). What do you think she means by this? In what circumstances do you believe you might have to consider killing someone? Would you do it? If so, how? Remember, it’s just a conversation starter! 6. Nancy says, “Couples get married for all kinds of reasons” (p. 82). For what reason did Van and Nancy marry? For what reason did Kyra get married? What other reasons are there? 7. There are two marriages profiled on Mystic Island, Van and Nancy’s and Kyra and Jacob’s. How do the two marriages contrast with each other? How do the members of the couples interact with each other (for instance, Van and Kyra, and Nancy and Jacob)? Would you feel comfortable hanging out with Nancy, if you were Kyra? 8. Kyra says, “We’re shaped by our past. The past makes us who we are” (p. 93). And Jacob replies, “It influences us, but it doesn’t make us. We can do anything, be anyone” (p. 93). With which of these two statements do you agree most wholeheartedly? Why? 9. Van once describes Kyra as “a woman with secrets” (p. 125). What secrets was she keeping before she lost her memory? Does she have secrets at the end of the book? 10. During the dinner party at Van and Nancy’s, Nancy says, “The only way to protect ourselves is to stay offline” (p. 157). Do you feel safer when you’re connected digitally? Or when you’re out of touch with the electronic world? What are the pros and cons of each? 11. At the inn, Waverley collects lunchboxes, and Jacob’s mother collected plants. Kyra collects information about sea life. What do their collections say about them? What do our collections say about us? 12. There are a lot of different homes in The Twilight Wife—Jacob and Kyra’s home on Mystic Island, the cottage in back of the house where Jacob writes, the old yellow Victorian on the bluff. What is the significance of home in the novel? 13. Mystic Island might sound like paradise to some and a nightmare to others—discuss who in the room would choose to live such an isolated life, and who would rather be closer to civilization. 1. Read The Soul of an Octopus by Sy Montgomery, one of the books that appears in Jacob and Kyra’s living room, to shed some light on the passion for marine life that Kyra retained even through her memory loss. 2. Kyra runs into a lot of people who knew her only briefly the previous summer, like Rachel Spignola and Doug Ingram, yet they all shed a little light onto who she was. Take slips of paper and assign buddies, then take turns writing down a one-to-two-sentence description of who the other person is. What do you learn about yourself and each other? 3. As Kyra explores the island, the places she visits and certain objects also evoke memories—seashells, the contents of her purse, photographs, and the local shops, the inn, and coastal tide pools. Which places and objects evoke the strongest memories for you and why? 4. Have every member of your book club share with the group what their favorite element of the natural world is. Why does each person connect with that place or animal or phenomenon so strongly? What significance does the title hold to the narrative? Is Kyra a twilight wife? What connotations does the word twilight have for you? The word twilight suggests falling away into darkness, the strange, dreamlike in-between time, when day isn’t quite finished and night hasn’t quite begun. Kyra hovers in that limbo, not entirely herself without her memory and plunging into a terrifying night as her life unravels. However, she also finds beauty and hope in twilight. She remembers magical nights, when she walked the beach and discovered unusual marine species beneath the moonlight. And night always becomes day again. Darkness leads to dawn. She discovers her own inner strength and reclaims her life. How and when did you first come up with the conceit for the novel? What sparked that initial idea that became the book? My ideas come from mysterious, deep thermal sea vents. I can never pinpoint the exact origin of a concept. But I do recall having an idea, some time ago, to write a story about a woman who suffers a head injury during a scuba diving accident, and when she awakens, she can no longer recognize faces. She suffers from prosopagnosia. I thought she could discover that the people around her weren’t who they claimed to be. But the problem with this approach was, she would still recognize voices and mannerisms, so she would need to also have lost her memory. Even more problematic: I learned that once a person loses her ability to recognize faces, this ability rarely, if ever, returns. On the other hand, memory is more elastic—it can return. I was still enamored with the idea of a diving accident, and I held on to the idea of memory loss. I live in the rural Pacific Northwest and loved the idea of setting the novel on a remote, rainy, shadowy northwest island, which became integral to the plot. Kyra and Jacob discuss the nearshore, the volatile confluence of sky, land, and water. How did you learn about this term, and what significance does it hold for you? At the seashore, I feel most at home and somehow closest to the universe and timelessness. When I read about the nearshore in a marine biology textbook, I thought, This is what I love, this place where sky, ocean, and land come together. I loved the term—it seemed magical—and it seemed appropriate for Kyra, as she stands at a confluence in her life, at the junction of past, present, and future, where everything in her life is volatile and in flux. Kyra begins to suspect that the people in her life are holding back important information. Is there ever a time when holding back could be a good thing for another person? Or do you believe that full disclosure is the only way to go? This is a complex issue. I think the answer depends upon the situation and individual preference. For example, I recently read about a man with terminal cancer who didn’t want to know his prognosis. He seemed calm and content until a doctor told him point-blank that he was dying of cancer. The man became very depressed, rapidly deteriorated, and died. Other people might want the whole truth all the time. On the other hand, if a young child’s dog is killed by a car, will the parent give the child all the horrible details about the dog’s injuries? Perhaps not. Your first book, The Good Neighbor, also deals with deception and uncovering the truth about those we love. What makes these themes so compelling to you? As a writer, I find a variety of themes compelling, but the idea of deception is universally fascinating. If a character needs to uncover a dark truth about the people closest to her, or even herself, wouldn’t that keep you turning the pages? I’ve always loved mysteries, from Nancy Drew and the Hardy Boys to Agatha Christie, and psychological suspense is merely an extension of that fascination. Haven’t we all known someone who wasn’t quite who he or she appeared to be? In fiction, deception raises the stakes for the main character, who may find her concept of reality and her very life at risk. Kyra asks, “Did we seem happy?” How can you tell when a couple seems happy together? Is there anything about the way that Jacob and Kyra interact that makes them seem unhappy? What do you think of the appearance of happiness versus real happiness in a marriage? I hope it’s impossible to tell, in the beginning of the book, whether Kyra and Jacob were truly happy together. This is part of the story question that creates tension—were they happy or weren’t they? I doubt any marriage is ever always happy. But in our culture, I believe we expect to enjoy some fundamental stability or satisfaction in marriage. People can hide deep, personal secrets never shared with the outside world. For Kyra, the question is, what was wrong and what were her intentions before she lost her memory? Did you invent the type of amnesia that Kyra suffers from, or is that form of memory loss actually possible? What research did you do to write so realistically from the perspective of someone who can’t trust their own recollections? What was the hardest part about the process of writing an amnesiac character? Ha, you caught me! I made up the form of memory loss to suit the kind of story I wanted to tell, but from what I’ve learned, forms of amnesia can be complex and indefinable. The brain remains a mystery. The story of the man who lost his memory and started speaking only in Swedish, a language he had never learned—it’s true! I read about his strange life and death. It’s entirely possible to lose both anterograde and retrograde memory, and it’s entirely possible for memories to return. But because I’ve never heard of anyone with Kyra’s form of memory loss, I can’t say whether it’s actually possible. Were there any interesting details about marine life that you learned while doing research that didn’t make it into the book? Can you share with us? I learned so many fascinating facts about sea life, I thought I might want to drop writing and become a marine biologist. Just kidding, but seriously, I love the research. Did you know that over nine out of ten coiled (spiral) seashells today are dextral? This means they coil to the right. There are a few sinistral specimens—shells that coil to the left—but they are rare and sought-after by shell collectors. To learn the reasons for the abundance of right-coiling shells, read an engrossing book called Spirals in Time: The Secret Life and Curious Afterlife of Seashells by Helen Scales. She also notes that nobody knows how many mollusk species (she spells it mollusc) exist in the world, but estimates run from 50,000 to 100,000 known named species. What symbolism did you see in unearthing the marker for thymus citriodorus in the old garden? Why did you choose a garden as the safest place for Jacob’s mother? Spoiler: the garden was the safest place for Jacob’s mother because her abusive husband was allergic to lavender, but also, it was a place where she could focus on the positive, on growth and possibility, on nurturing herself. In the same garden years later, Kyra unwittingly unearths a key to unlocking her own past, and an indication of what her future could hold. I’m writing another novel of psychological suspense, also set in the rainy, remote Pacific Northwest and featuring a woman in jeopardy, who begins to question the sincerity and motives of those closest to her. Hmmm, this is becoming a theme in my novels, isn’t it? But a fun and intriguing theme for readers, I hope! I’m conducting research into the way a small-town detective (not the main character) might investigate a death that may or may not have been murder.